IMPORTANT - WE HAVE NOW MOVED TO OUR BRAND NEW WEBSITE WHICH INCORPORATES A HUGE AMOUNT OF NEW FEATURES TO HELP YOU FIND LONDON NIGHTCLUB INFORMATION - WWW.LONDON-NIGHTCLUBS.CO.UK. If you’re looking for London bars or London nightclubs to go to whether it is on a Friday or Saturday night or in the week we are here to help. 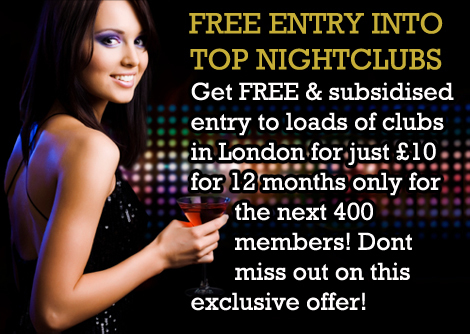 We have reviews on over 100 London nightclubs and bars and add more nightclubs reviews every month! £4 rum and cocktails every Wednesday at Sugar Cane. 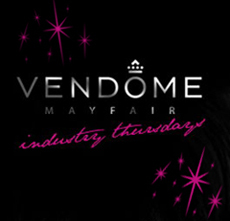 Free entry every Thursday at the stylish Vendome. Each and every Sunday at Sirocco.